In his turn, Attorney General K. K. Venugopal justified the October 23 order of the Central government divesting CBI Director Alok Kumar Verma of his powers and responsibilities, distinguishing the twin powers of selection and appointment to the post. Section 4A of the DSPE Act of 1946 requires the Director to be appointed by the government on the recommendation of the Committee comprising the Prime Minister, the leader of the opposition in the Lok Sabha and the Chief Justice of India. Further, section 4B envisages the Director to have a minimum tenure of 2 years and for his transfer to also be effected only with the previous consent of the said Committee. It is the case of the petitioners that the government could not have bypassed the Selection Committee in sending Verma on leave. “The appointment authority is different from the selection authority. In fact, the selection authority is also the government of India which ultimately chooses the most suitable candidate from a panel of three which is created by the Selection Committee. The composition of the Committee was modified in 2014 which initially was to consist of the Central Vigilance Commissioner, the Vigilance Commissioners and two other bureaucrats. But the final appointment is by the Cabinet Committee of Appointments which has a choice of two or three candidates; it is not like anyone suggested by the Selection committee is appointed....”, advanced the AG. “The mere fact of selection does not give any right until appointment. So if A, B and C are selected for empanelment and finally, C is appointed, A and B can make no claims....”, he continued. In this context, he cited the 1991 constitution bench judgment in Shankarsan Dash v. UOI where it was held that even if a number of vacancies are notified and the adequate number of candidates are found fit, the successful candidates do not acquire an indefeasible right to be appointed. “The Selection Committee places three candidates before the government which makes the final selection and appointment. The Selection Committee loses all control over the actual appointment; it becomes functus officio as far as the appointment is concerned”, argued the top law officer of the country. “The CVC order (of October 23 divesting Verma) is under sections 8(1)(a) and 8(1)(b) of the CVC Act which limit the Commission’s authority to superintendence of investigation in corruption cases. Pursuant to this order, there is the order of DoPT. Should this order have come under section 4(2) (of the DSPE Act)?”, asked Chief Justice Ranjan Gogoi. “Yes. That is my contention”, replied the AG. “Both the said clauses of section 8(1) and both of the sub-sections of section 4 deal with superintendence. But section 4(2) is the residuary power not restricted to investigations. The power of superintendence is exercised by the CVC under section 4(1) (of the DSPE Act; in respect of investigations under the Prevention of Corruption Act) but the power of divesting and transfer has to be wielded by the appointing authority....The consequential order of divesting has to be of the central government....Now would this power flow from section 4(1) or 4(2) when the CVC says it has exercised powers of superintendence under section 8(1)?”, the Chief Justice sought to clarify. “The power is rooted in both 4(1) and 4(2) as long it falls within the ambit of ‘superintendence’”, responded the AG. “The powers of the CVC were activated by the Cabinet Secretary on The complaint by (CBI Special Director Rakesh Asthana) which indicated illegality and criminality....”, he elaborated. 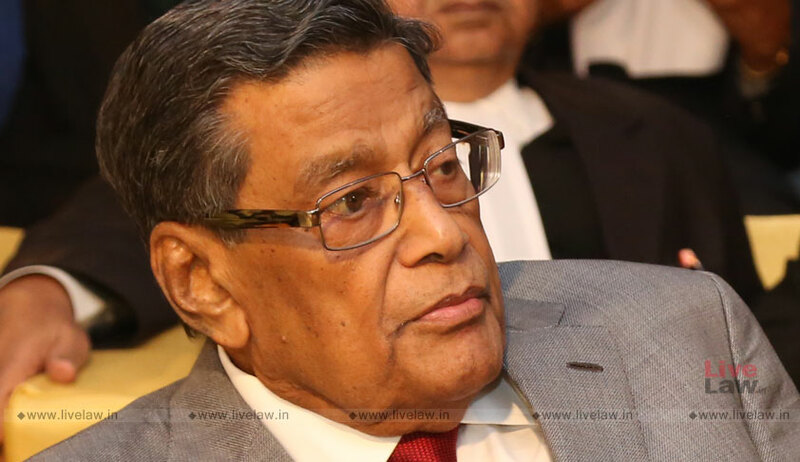 “Does the cabinet secretary apply its minds to the allegations before taking a call?”, Justice K. M. Joseph wanted to know. “The intervention by the government was to safeguard the public confidence in the CBI in the face of a fall-out between two of its topmost officers. The public opinion was getting tainted. But the government is not concerned about A or B....”, asserted the AG. Adjourning the hearing to Wednesday, the Chief Justice remarked that though the bench has read the report of the inquiry by the CVC into the allegations against Verma, should the court decide take judicial note of it, the Centre and the other interested parties will be given an opportunity to respond.